The Kindle is on Fire! 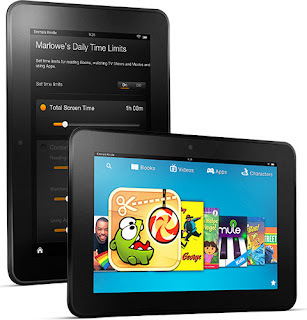 Amazon has announced an update to their color tablet offering called the Kindle Fire HD. This new version is available in both Wi-Fi and 4G LTE configurations. And while Amazon plans to go head-to-head with the Apple offerings, their primary strategy on the original Fire was to compete on price but these new tablets also appear to be focused on technology, loads of content and advanced features. Comparisons between this new Fire HD and the iPad will constantly pop up and rightfully so. When you look at who can provide the full value proposition (content, distribution and platform)...it really lands on Apple's and Amazon's capabilities to deliver the broadest range of services. From a hardware perspective, the first thing you will notice is the new HD tablet is smaller and lighter than an iPad with its smaller 8.9" display running at a resolution of 1920x1200 pixels or 254 pixels per inch. This display is an inch smaller than the Apple offering but essentially has the same pixel density for clearly rendered graphics and text. The Fire HD also has a very impressive array of processing and communications hardware to keep you on the leading-edge of tablet computing. At its heart, it is still an Android tablet but with Amazon's dedicated wrapper, app and content e-store. But at the end of the day, Amazon still plans to compete on price. We are talking about a 16 gigabyte Wi-Fi version ($299) which is $200 cheaper than a similarly configured iPad 3. But the killer surprise is the $50 annual wireless carrier pricing on their fully-loaded Kindle Fire HD 4G LTE ($499 for the 32 giga-byte) edition. There is some new content/application support announced by several development organizations but the superior content library of apps is still on Apple's iTune. 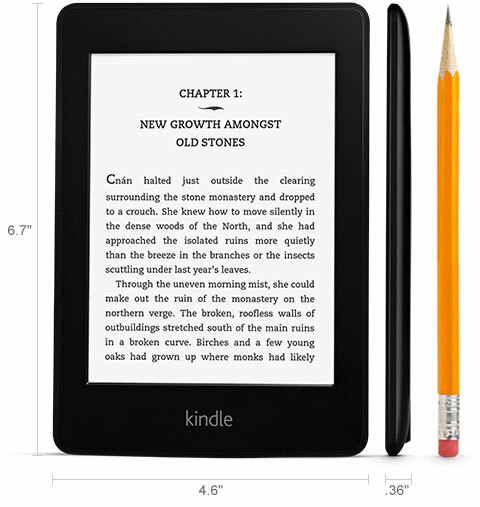 Amazon also announced this week the introduction of the most advanced e-reader in the marketplace. This new Paperwhite Kindle offers an entirely new high-resolution, bright white display that is also backlit for reading in darker environments. 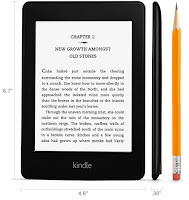 For those simply looking for a lightweight e-reader for consuming your book and publication reading...this is a wonderful advancement and well worth a look. There is a Wi-Fi version available for as little at $119 and a no-cost 3G cellular version that starts at $179. Note: There are two versions of each...the lower priced edition has "Special Offers" promotional advertising on it and for an additional $20 you can get rid of the on-screen ads. I have regularly extolled the merits of larger camera sensors, especially full-frame sensors (an imaging chip the same size as the old 35mm film) and how most cameras except for the professional Digital Single Lens Reflex (DSLR) cameras tend to have much smaller sensors. The camera marketing and product folks have regularly confused the consumer by announcing large 10+ mega-pixel statements about their cameras but fail to discuss how small each of those pixels really are and thus resulting in lower quality imagery. Don't get me wrong, a decent number of megapixels is important but the size of the sensor can really dictate the quality of the capture. The big issue challenging the camera industry is that phones are able to take a "good enough" picture on most occasions. And thus it is proving hard to justify the need to purchase or carry another camera. Truth be told, I have been seeing more and more people toting around DSLR cameras as those at least offer a major step up from the camera in their phone. But the camera manufacturers are finally catching on. In the past they have held the full-frame sensor for their top-of-the-line cameras costing $1,000's of dollar. But we are starting to see those old-school walls begin to crack and the all-mighty full-frame and its slightly smaller cousin the APS-C sensor showing up in smaller and more convenient packaging. 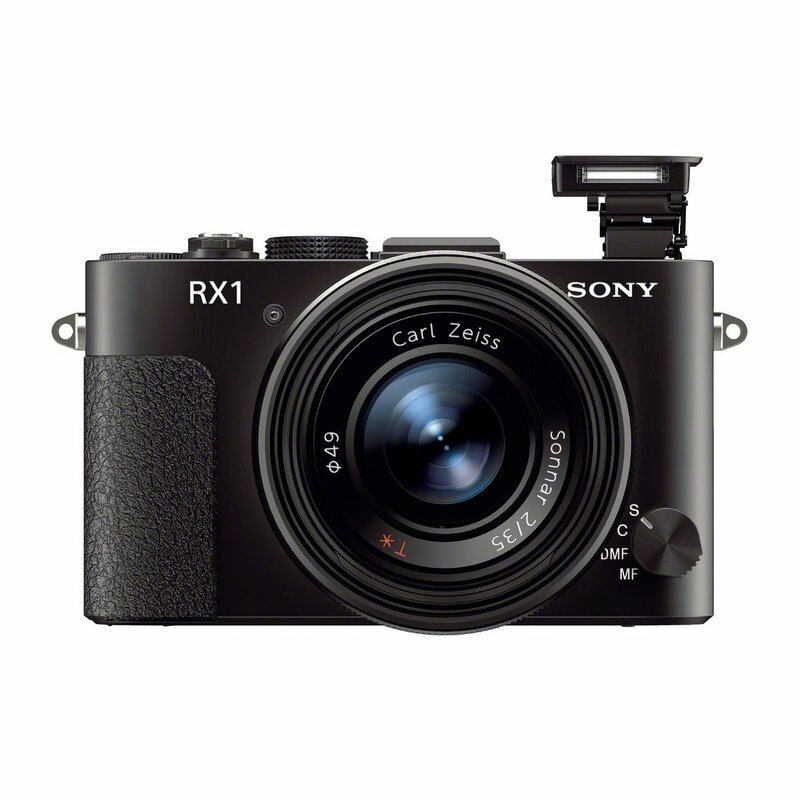 The latest is Sony's "big" announcement of the DSC-RX1. The camera features a 24 mega-pixel full-frame sensor, a fixed 35mm F2 (equals very fast and bright) lens and a extremely fast focusing mechanism. 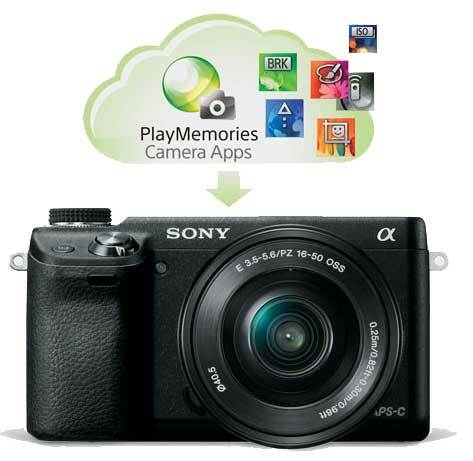 Quite simply, this is the smallest full-frame camera that fits in the palm of your hand and not surprising...with all that tech in a small size...comes a very big price :-) This small, professional camera is clocking in at a suggested retail of $2,800! Okay, that last Sony threw you for a loop with sticker shock. Yeah, I can totally understand that. 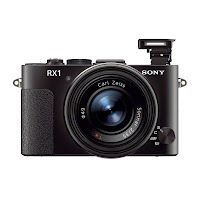 So let's look at another product Sony announced this week as the latest addition to their NEX small interchangeable lens cameras. 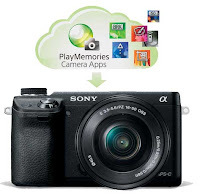 The NEX-6 is a 16 mega-pixel (APS-C sensor) camera that features built-in Wi-Fi, in-camera apps and a 3-inch, ultra-bright OLED back-panel display. While not pocketable, these cameras offer a good-sized APS-C sensor (next size down from a full-frame but still produces excellent image quality) and interchangeable lens in a much more compact package than a full DSLR. And this NEX-6 fits near the top of the product line with includes the NEX-F3, 5N and 7 with a price just shy of $1,000 with an included 16-50mm zoom lens. While still in the realm of cameras, Nikon announced its smallest DSLR that includes a full-frame sensor clearly targeting someone interested in high-quality pictures but not approaching professional or even semi-professional status. The D600 features a 24 mega-pixel resolution, 39-point auto-focusing system and the ability to record 1080p high-definition video at up to 30 frames a second. 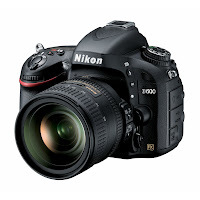 This latest Nikon is an impressive camera and has the benefit of leveraging the substantial library of quality lens available for Nikon full-frame and APS-C systems. Expect to pay around $2,700 for the camera body and the 24-85mm zoom lens. What would a week of cool new product introductions be without some nice new Apple gear to round things out? What about a bigger, badder and thinner iPhone? How does that sound? Well we are getting all that with the new iPhone 5. A 4-inch Retina display with 326 pixels per inch that provides 18% more pixels while maintaining the same width as the iPhone 4s to make it still easy to hold. The new iPhone is 18% thinner (7.6mm) and 20% lighter (112 grams) than the 4s. And the new iPhone is fast. It's new A6 CPU is twice as fast as the A5 which helps with launching apps, loading larger file attachments and even surfing the web. Even your network is faster...leveraging the latest 4G LTE cellular networks. RANT WARNING: There has been a lot of "noise" out there in the media that the iPhone 5 was not an "innovation" and they start talking about how the Samsung Galaxy S3 is more innovative. I do agree that the iPhone has similar styling to the 4 and 4s and the S3 is an all-new slick design. But that is about where the "innovation" of the S3 stops. I know Samsung/Android fans will mention how the Near-Field Communications (NFC) aka: tapping to share capability is cool but it has very little support in the universe and I can understand why Apple didn't jump to support it...yet. Seriously, I use both Android and Apple devices and the focus should be on "great design" and this is where Apple has everyone beat. The eco-system of iTunes, AppStore, AirPlay, iCloud and iOS 6...let alone the introduction of the thinnest smartphone in the world is light-years ahead of any competitor. And it is evolving at an amazing pace with the largest active development and consumer marketplace for digital assets. The biggest "gotcha" in the new iPhone is it's new Lightning connector that replaces the traditional iPod plug we have used for years. Apple needed to make this move to allow the iPhone to get thinner. Apple is offering adapters to allow you to still use most of your current peripherals. Apple also updated their iPod line-up in time for the holidays. 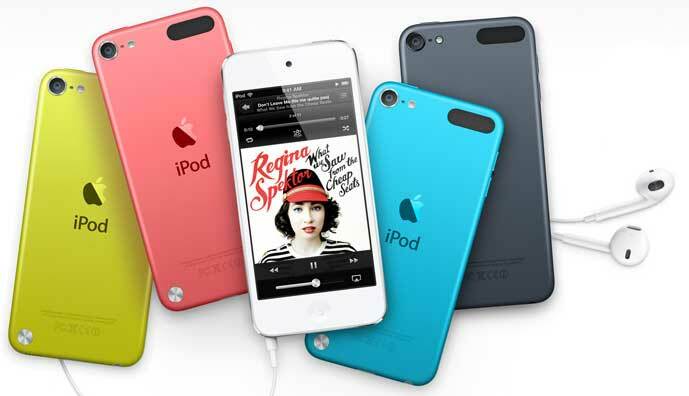 We have a colorful array including a new iPod Touch that takes advantage of the iPhone 5's 4-inch Retina display and iOS6 updates. Apple is sticking with the A5 processor. We also have a completely redesigned Nano that is roughly the same size as a credit card and just 5.4mm thick. It features a 2.5-inch multi-touch display and is available in seven different colors. The new Nano gains Bluetooth 4.0 as well as new EarPods which is Apple new earbuds that they claim rivals high-end headphones as a pack-in. I've covered the introduction of the Wii U earlier this year at the Electronic Entertainment Expo (E3). Well, Nintendo has come forth this week with launch details including pricing, configurations and game details. The Wii U is a unique product that comes with the traditional console you hook up to your TV. 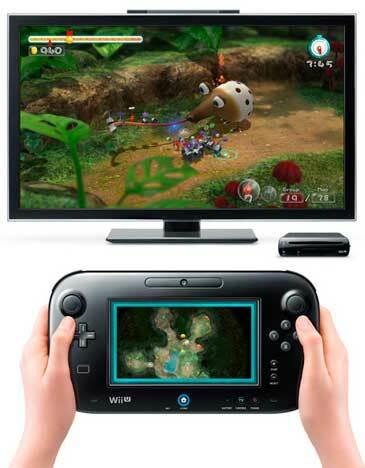 You get a "second-screen" tablet-like controller (GamePad) and can use the original Wii's controllers. It is available in two models. A Black (Deluxe = $350) configuration with 32 gigabytes of storage, the GamePad and a copy of the NintendoLand videogame which is a set of 12 mini-games. The White (Standard - $300) version includes 8 gigabytes of storage, the GamePad but no game and no stands/cradles for the devices. 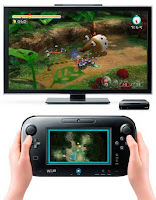 A novel capability is Nintendo TVii allowing you to find watch TV content on your GamePad. You can search across Wii U Video Entertainment (Netflix, YouTube and Hulu), TV channels and your own TiVo DVR. Now the storage on these devices does seem a bit anemic but Nintendo announced you can "add your own USB hard drive"! This is a positive direction and hopefully other console providers will follow suit. Nintendo announced 50 titles at launch but here is where things get a bit off track. Yes, there is a slim few Nintendo first-party titles but Mario Bros. U looks promising, NintendoLand is pretty cool and Luigi's Mansion 2 was a welcome late announcement. Lego City should be a hit for the console also. But most of the other titles are already released on Xbox 360 or PS3. I am sure there is a large community of players that only had a Wii and this new platform seems to open up a world of opportunity (more action titles) for them but those of you with the latest Microsoft or Sony platform might not need to rush out and get this console...not just yet. The Nintendo Wii U will launch on November 18th, 2012. The Black version preorders seems to be sold out from most of the online stores at this time. You'll have too keep an eye out if you want to pick one up.